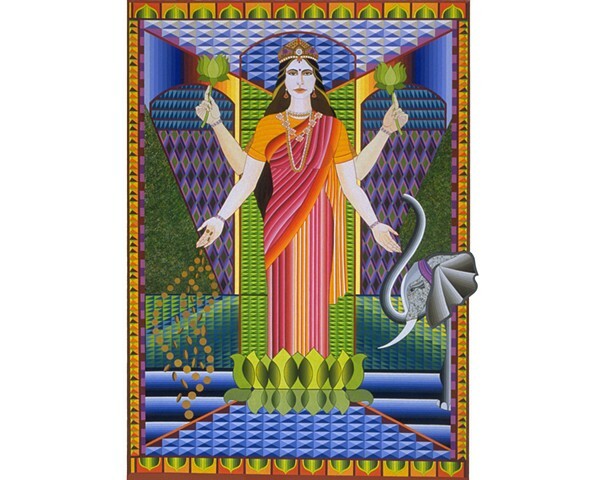 Lakshmi is the Goddess of wealth and the embodiment of beauty, grace, and charm. Lakshmi is always seen sitting or standing in a fully blossomed lotus, representing diving Truth. She is worshipped for her qualities of abundance, prosperity, purity, and generosity. I really enjoyed painting Lakshmi. It was an empowering experience to paint a strong, generous, and abundant goddess.